The world of pop culture is still trying to process the death of Marvel great, Stan Lee, with tributes rolling in on social media from far and wide. The MCU as we know it won't feel quite the same, either. 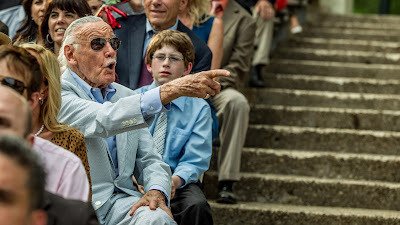 Although Stan had no direct creative input in those movies, all of us as fans had grown accustomed to his many cameos, and it became a fun little game to keep an eye out for his appearance. Sometimes they were rather extensive, other times they were blink 'n you'll miss him. "So, Stan, typically we try to get him out — he doesn't love to fly — so we try to get him out for his cameos around the same time. So if we have other movies shooting on the same lot that we're on, for instance Ant-Man 2 or Avengers 4, we group his cameos together and then move him from one set to the next and kind of get him through his cameos in one day."